Many pressure points in the hands and feet are directly linked to body systems and stimulating these can improve circulation, reduce swelling and relieve pain or stress. Whether you have a chronic condition, are healing from a recent surgery, or have ongoing tension from years of stress, BioQPulse treatments can help instantly. and keep you from enjoying life. 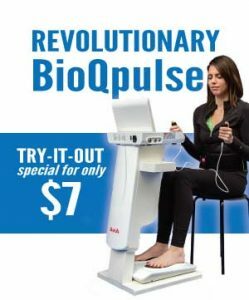 The BioQPulse is a revolutionary total body healing and strengthening device that can relieve pain and stimulate natural healing in as little as 5 minutes. You will feel a pulsating sensation in your body. It’s very comfortable and most people feel very relaxed after. You control the intensity and can direct your own sessions after your initial treatment. Most feel results immediately but depending on the complexity of your condition, it may require up to 12 sessions to resolve your problem. 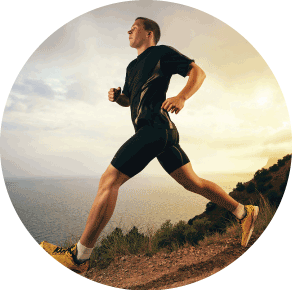 Many also experience increased energy, vitality and strength as a side benefit. Treatments typically last 15-20 minutes. For more complex or chronic conditions, it’s recommended 1-2 times per day for maximum results. The effects are long-lasting unless you have a deeper problem that makes the pain return. At PT Connections we strive to provide quality, cost-effective care and so we have designed package discounts and monthly memberships to make this program extremely affordable. BioQPulse is unlike any other treatment available today. It is all-natural and free from side-effects.